The family of Jean Leach, 89, of Saskatoon, SK., formerly of Forgan, SK. sadly inform all who knew and loved Jean that she died peacefully in her own home on March 28, 2019. Born November 3, 1929, in Saskatoon, she is predeceased by her parents, Ethel (Morgan) and George McGill Talbot, her late husband and love of her life for 70 years, George E. Leach and her dear brother Lyell and his wife Dorothy Talbot and her sister-in-law Florence Leach. Jean was a devoted wife, mother, auntie, sister, grandmother, and "GG" and a loyal and giving friend to those fortunate to enter her life. She married George in 1949 and they enjoyed a loving marriage until George’s death in 2014. Together they raised two children, Diane (Kelly) Hackman and Leslie (William Sutherland) Leach and enjoyed 2 grandchildren Ryan (Lindsay) Schmidt and Lisa Schmidt, and two great-grandchildren who called her GG: Korson and Colby Schmidt. She is survived by her sister Mildred Talbot with whom she had a profound bond and her dear sister-in-law, Elizabeth ‘Bea’ Kynoch, niece Linda (Gerry) Novicki and nephews Don (Belinda) Kynoch and Bill (Bev) Kynoch and their respective families. Jean moved to Saskatoon from the Forgan farm to attend secretarial school after graduating grade twelve. She met and married George Leach and they lived in Winnipeg and Swift Current, where the girls were born, before settling in Saskatoon. Jean loved music and she achieved her Royal Conservatory of Music advanced level ten certificate and worked for CBC Radio in Winnipeg where she helped put together musical broadcast productions. In later years, after the girls were grown, she worked for the provincial family court system as a legal secretary and court reporter – a job she loved. She excelled at gardening and took great pleasure in her final days at home gazing out at the fir trees she and George had planted 50 years ago and planning her garden for this year. She was also a voracious reader. She often dreamed of returning to her second home of Victoria where she and George spent many happy winters. Her fondest memories of travel included holidays in Waskesui, camping through the Rockies and vacationing in Hawaii and Switzerland. Jean attended and played an active role in the St. Martin’s United Church community. We knew Jean as strong-willed and spirited, loving and kind, talented in any field she chose to tackle including carpentry, and a caregiver to all who needed her support. 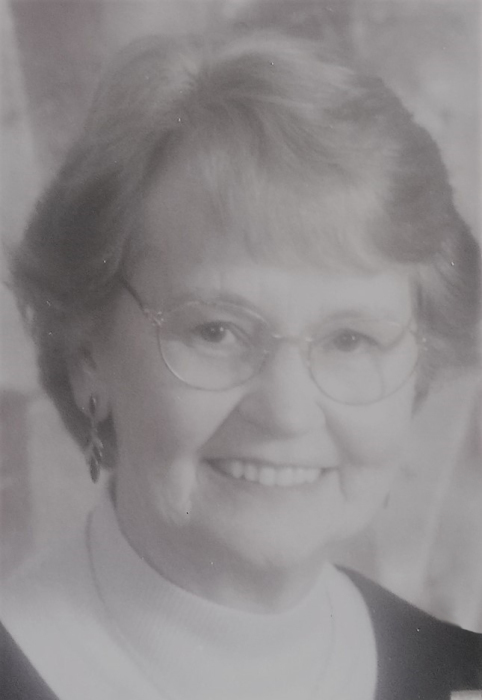 A Celebration of Life for Jean will be held at St. Martin’s United Church (2617 Clarence Street S., Saskatoon) on Wednesday, April 10th, 2019 at 2:00 pm with a gathering to follow in the church. In lieu of flowers, please donate either to Central Haven Care Home via the Sherbrooke Foundation (http://www.sherbrookecommunitycentre.ca/get-involved/donate/) or the SPCA (https://www.saskatoonspca.com/supporting/donate). To view and share photos, condolences and more information and stories of Jean, please visit https://www.mourningglory.ca/listings. Jean’s family wish to acknowledge and thank the compassionate in-home care providers (Charlene, Shelley, Blennda, Tammy, Pauline, Tigist, Raman, Lori) from Daily Living Personal Care Services, without whom, we would never have been able to fulfil her wish to live her final days in her own home surrounded by the comfort that 60 years of living brought to her. She returned home from Central Haven Care in December 2018, where she had received exceptional care and made lasting friendships. But it just wasn’t home. Jean was able to enjoy Christmas at home, directing us on just how she wanted her home decorated (teddy bears everywhere!) and what to cook for the dinner. As well, a huge thank you to Gillian and Holly of the CPAS DCF program, her family physician Dr. Chernoff, the competent physicians (Dr. Helms and Dr. Irving) and numerous R.N.s from the Senior’s First team who guided us in caring for Mom at home in her final days. Many other professionals, who became friends, provided on-going tender care for Mom for which we will be forever grateful, particularly Mindy Apongol and dear Helen Letkeman (deceased), Diane Thurmier of College Park Massage, and physiotherapists RaeAnn/Kelly/Robynn. A shout out also to Michelle and her team at Earl’s Pharmacy who kept up to our numerous changes. And finally, sincere appreciation to our friends who provided on-going friendship and support in many forms over this past year and a half.